The Texas Stars have announced their training camp roster for 2015-16. 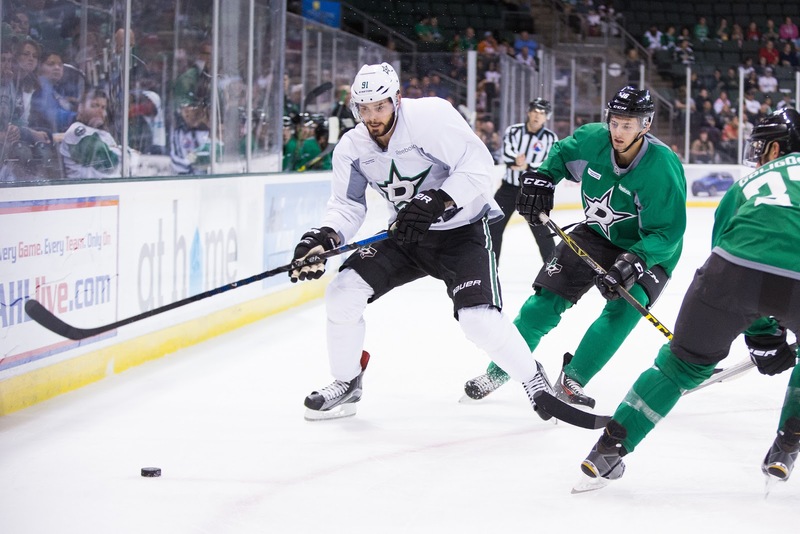 The roster, which is mostly composed of the latest cuts from Dallas Stars camp, will be supplemented over the coming week and a half with more players cut from Dallas camp. Some notable players expected in Cedar Park but not yet assigned include Travis Morin, Jack Campbell, and many of the Dallas-contracted defensemen such as Julius Honka and Esa Lindell. Some notable PTO invites include Taylor Stefishen, who played with Texas last season on a PTO and several players on contract to Idaho including Colton Beck, Brandon Magee, Cole Martin, Andrew Panzarella, and Jake Rutt. Camp will open Tuesday with daily practices. 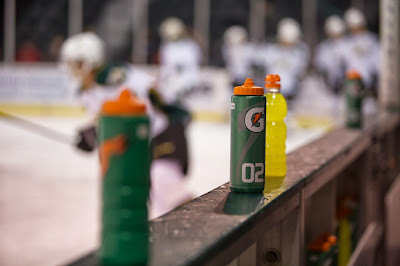 Texas Stars training camp is closed to the public. The Texas Stars, American Hockey League affiliate of the NHL’s Dallas Stars, announced today their initial roster and schedule for training camp for the upcoming 2015-16 season. 25 players report to Cedar Park Center Monday for physicals, and Tuesday the team will hit the ice for their first formal practice. All non-game day practices are scheduled for 10 a.m. All practice sessions are open to the media and a formal media day is set for Tuesday, Oct. 6. The 15 forwards are Colton Beck, Cam Braes, Derek Hulak, Cory Kane, Justin Dowling, Brandon Magee, Emil Molin, Taylor Peters, Greg Rallo, Brendan Ranford, Gemel Smith, Taylor Stefishen, Matej Stransky, Branden Troock, and Cole Ully. The seven defensemen are Jesse Blacker, Brennan Evans, Zack Kamrass, Matt Mangene, Cole Martin, Andrew Panzarella, and Jake Rutt. The three goaltenders are Philippe Desrosier, Maxime Lagace, and John Muse. 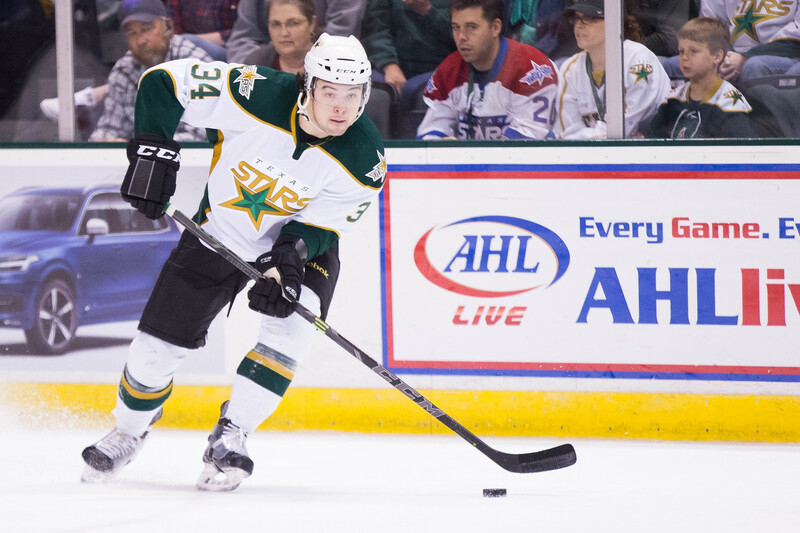 The Stars will compete in a pair of preseason games against the San Antonio Rampage on Friday, Oct 2 at 7 p.m. and Sunday, Oct. 4 at 3 p.m. Both games will be played at Cedar Park Center. Opening night for the 2015-16 campaign is Friday Saturday, Oct. 10 at 7:30 p.m. The now-annual Victory Green and White scrimmage at Cedar Park Center had a final score of 5-2, with the White squad besting their intra-squad rivals. The overall flow of the game was relatively inconsequential, so this post will mostly focus on some of the piecemeal storylines that cropped up throughout the match. 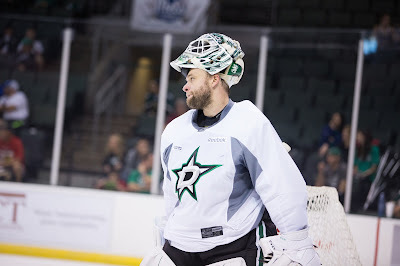 Antti Niemi did not play in today's scrimmage; he played yesterday and practiced with Group C this morning. Kari Lehtonen and Jack Campbell started for the two squads and had fair to middling performances. Campbell stopped 11 of 13 shots against him in net for White. Lehtonen stopped just 6 of 9 on the Green net. "I thought there were some good saves," said Lindy Ruff. "But it's hard to tell on some of the goals what happened. There were some good saves out of all the netminders." Philippe Desrosiers spelled Lehtonen in the Green net and looked very good against NHL competition. He stopped Tyler Seguin easily on a penalty shot in the second period. "Desrosiers made four or five big saves right off the bat," noted Ruff. He's looked ready for the AHL game so far in his time in camp, but it is early. Even if Desrosiers proves to be ready for AHL competition, he will need volume of games to get into the pro game. He'll find that in Idaho. Regardless, his strong performance has to make Scott White and Derek Laxdal think about how their net will look as the year progresses. Quietly, by the way, Maxime Lagace had a shutout during his time in net (8 saves on 8 shots). The final five minutes of the first and third periods were reserved for 3-on-3 overtime practice. Dallas continued to experiment with defensive coverage, which is what Coach Ruff is more concerned with overall in the extra frame. "We spent time on it this morning in the walk thru, and we're going work it in every day in camp." The current trade off is between zone defense or man-to-man. Asked which he prefers, Ruff is definitely a big fan of zone. "I like the zone so much better. There aren't grade A chances once you're in the zone." Free agent camp invitee Brandon Magee was impressive in today's scrimmage against NHL competition. The 21-year old forward has played four years in the WHL with Victoria and is now on the hunt for a professional gig. He was in development camp with Montreal over the summer and joined the Dallas Stars in the Traverse City prospects tournament. It's not his first NHL training camp; he was with Calgary in camp last season. "It's been whirlwind, flying everywhere. Just trying to take it all in and get better, pick up the little things these guys are saying." Magee, who is signed with the Steelheads for this season, is hoping for an AHL contract. He's making waves this season already after a great showing in Traverse City and a goal in today's scrimmage for Team White. He's even had a leg up on the rest of the free agents, having played his WHL career in Jamie Benn's hometown. "I played the last few years in Victoria, BC, so I got to know Jamie Benn in summer skates. Getting to know him, it made me feel comfortable a lot quicker." Goal scorers for White were Matej Stransky, Jason Demers, Tyler Seguin (2) and Brandon Magee. Goal scorers for Green were Jason Dickinson and Jyrki Jokipakka. 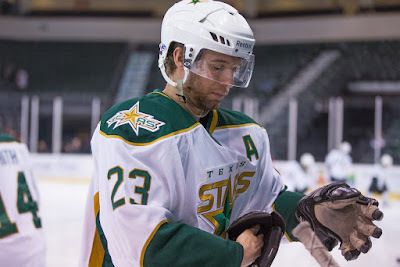 Travis Morin was announced as the new captain of the Texas Stars last night. Morin has been with the team since Day 1 and holds most, if not all, of its offensive records. The center, who signed a new contract with Dallas last year that will keep him here for the next two season, has already been in a leadership role with the Stars for several seasons. "The way I approach the game isn't going to change," said Morin. "It's just a letter on the jersey." Morin is a quieter guy in the room. In his words, he's not 'rah-rah', but when a message needs to be relayed to his teammates, he's "I'm not afraid of it. When things need to be said, I'll be there to relay the message." Morin has led by example for many of the younger players and plans to continue that now as captain. "I don't think he's much different than Max," said Colton Sceviour, who played with Morin for several seasons before graduating to Dallas. "He's a guy you're going to follow on the ice, more a doer. He'll say things when they need to be said. He's a guy that will step up on the ice in a big situation. That's his number one attribute." 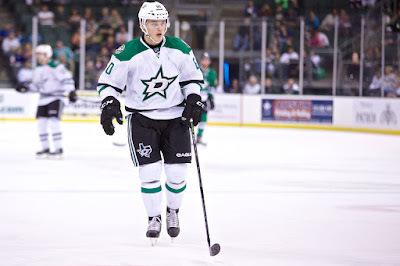 For his part, Morin is very happy to be where he is now after coming to Texas on a professional tryout in 2009. "Coming here six years ago now, I was just looking for a chance to play in the AHL. I had no idea how long I'd be here or how far I'd go. I've been so fortunate." Note: Texas's four captains have been Landon Wilson (2009-10), Brad Lukowich (2010-12), Maxime Fortunus (2012-15) and Travis Morin (2015-). Day 2 proved that Dallas is ready to fix whatever might have ailed them last season in the goaltending department. The day's events were headlined by a three-period scrimmage that featured Kari Lehtonen and Antti Niemi starting against each other. While the final score of the game was 4-2, the most important number was zero. Between the two starting goalies, zero goals were scored. Lehtonen and Niemi each had sparkling saves to keep their respective sheets clean. All the goals in the contest were scored against John Muse or Philippe Desrosiers. Kari Lehtonen, playing for Green, stopped all 14 shots he faced; Antti Niemi stopped all 10. Last year's Dallas Stars scored a lot of goals, but they let in even more. Jim Nill nabbed Antti Niemi on draft day in a trade with the San Jose Sharks to shore up the position. "I loved the goalies," said Dallas head coach Lindy Ruff. "Both our starters looked good. They've got a tremendous attitude. They like each other, and they've been pushing each other and working hard for the start of the season. They've both been sharp." From a Texas Stars perspective, Coach Ruff is high on Jack Campbell's potential for this season, one where he is expected to be the starter for the AHL club throughout the year. "So far so good. Jack has tremendous skill, but sometimes he gets caught up doing a little too much. We're trying to get him a little calmer. Playing night in night out should help him because he really hasn't had that opportunity yet." In the scrimmage, lines were pretty fluid, but here's where they started in the first period. 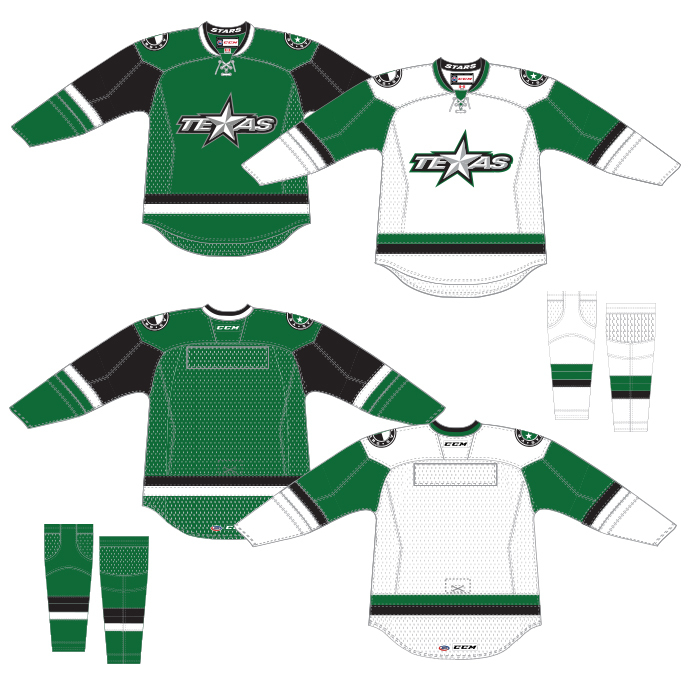 After the switch to victory green for logos and wordmarks over the summer, the impending jersey change was the next on the docket for the Texas Stars. Last night, the team revealed their new duds, along with inadvertently dropping a surprise announcement. 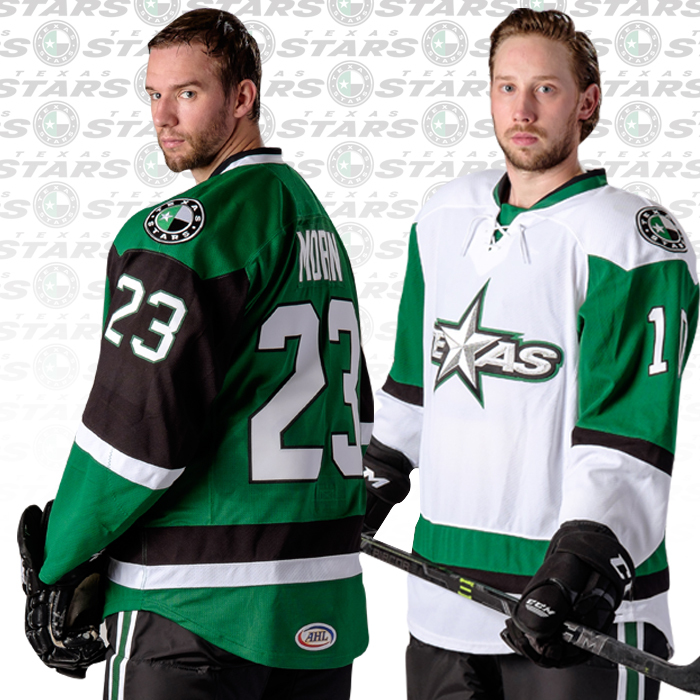 Travis Morin and Julius Honka debuted the jerseys at the Stars Party at the Domain last night. Jerseys are on sale now. The surprise announcement that I'll have more on today was the announcement of Travis Morin as the fourth captain in team history. The Texas Stars, American Hockey League affiliate of the NHL’s Dallas Stars, unveiled their new jerseys for the upcoming 2015-16 season at the Stars Party at the Domain tonight. Last night's game against Detroit was going well for the Dallas Stars prospects early in the third. Brett Pollock notched his third of the Traverse City tournament to put Dallas up 4-2. The Wings came back though and clinched their spot in the championship with a 5-4 final. 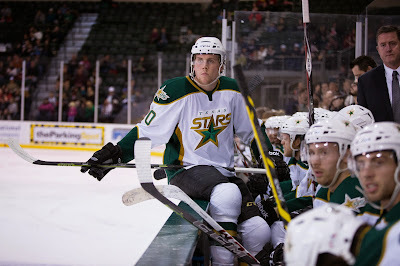 Goal scorers for Dallas included Jason Dickinson, Devin Shore, Mattias Janmark and Pollock. Janmark has made quite a mark in the tournament, and Sean Shapiro reports that Janmark will attend training camp in Cedar Park despite not being on the initial roster. Dallas plays for 5th place against Minnesota today at 2:30 PM Central. The Chicago game was an exciting contest. Dallas managed to score three goals in the final 42 seconds to drop the Blackhawks prospects 4-2. Names that Texas fans will recognize or will soon know played big parts in the contest. Stephen Johns, Mattias Janmark, Cole Ully and Devin Shore all figured into the scoring in the last minute of the game. Philippe Desrosiers started in net. The Stars led their game against Carolina on Saturday late. A tying goal by the Hurricanes and an early OT marker put the red and black over Dallas. Brent Moran started in net for Texas. Brett Pollock, who won't be joining the Texas Stars quite yet, added a pair of goals. The Stars have a shot at the championship game if they can beat the host Red Wings this evening to take the Howe Division. The Blue Jackets are leading the Lindsay Division with a 2-0 record. It's finally back. 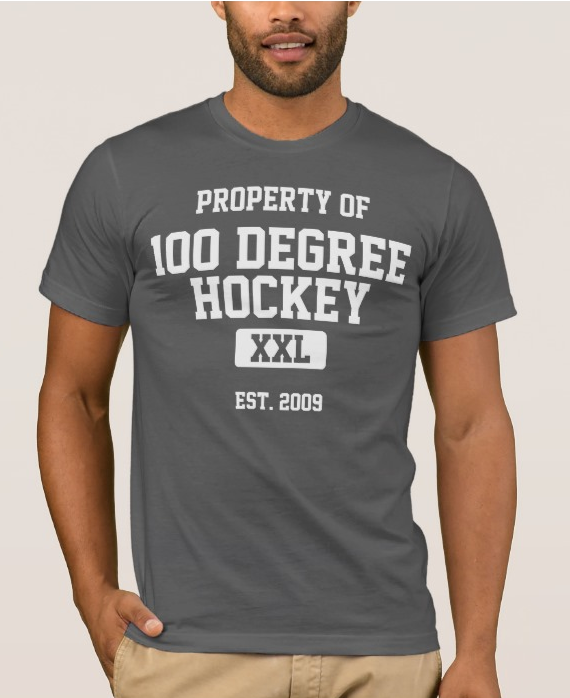 Real, honest-to-goodness organized hockey starts today in Traverse City, Michigan. The annual prospects tournament starts the season for Dallas prospects, many of whom will be playing for Texas at some point this season. You can find the full roster here. Texas Stars head coach Derek Laxdal will coach the prospects with assistance from Texas assistant Karl Taylor and Steelheads head coach Neil Graham. For the next four days, Dallas hits the ice for practice each morning and a game in the afternoon. Tomorrow's opponent will be the Chicago Blackhawks' prospect team. While the action is not televised or broadcast in any way, you can usually follow @StarsInsideEdge on Twitter for information and obsessively refresh the gamesheets to see in-game stats and scoring lines. The full schedule is accessible here. All times are Eastern. The Stars depth at forward is coming in handy as Brett Ritchie will not start the season with Dallas or Texas this year. The forward, expected to compete for a spot in the NHL this season, is out 3-4 months after surgery to repair a ligament in his wrist. He sustained the injury during summer training, according to Dallas GM Jim Nill as reported by Mark Stepneski. With so many one-way contracts in Dallas, Ritchie was right on the bubble to make the team thanks to his two-way contract and waiver-exempt status. It's a tough blow for the talented winger to have an injury come right when he appeared poised for a breakout season. 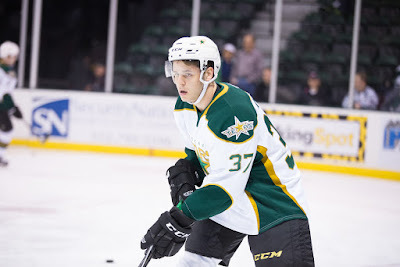 However, the upside for Texas Stars fans is that Ritchie will most definitely now play in the AHL this season for at least a few games. Come December or January, Ritchie will need to rehab his wrist and get back to game speed and game shape. He'll be doing that in a Texas Stars jersey.